The SDG Book Club, first announced in September 2018 will present a selection of books for children aged 5-12 on each of the Sustainable Development Goals (SDGs). The initiative will provide an opportunity to encourage children to read, to learn about the SDGs and empower them to play their part in making the world a better place. Each student in the Elementary School from Grades 1-5 will be involved in the SDG Book Club and encouraged to read at least one of the books on the SDG book list plus other books chosen by the Library staff that explain the reasons why people are poor. The students will be issued with a SDG Book Club passport to record their reading efforts and encouraged to complete all 17 SDGs by August 2020. The library central display will feature the monthly book club focus. 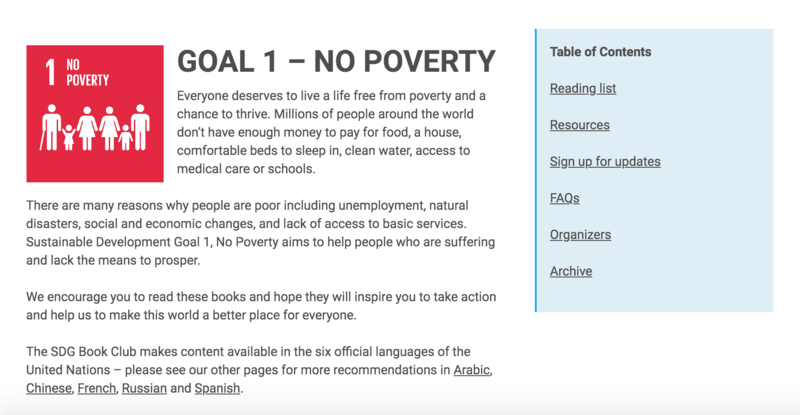 The SDG Book Club makes content available in the six official languages of the United Nations – Arabic, English, Chinese, French, Russian and Spanish. Please join our Elementary students as they learn about Goal 1 – Ending poverty in all its forms everywhere. 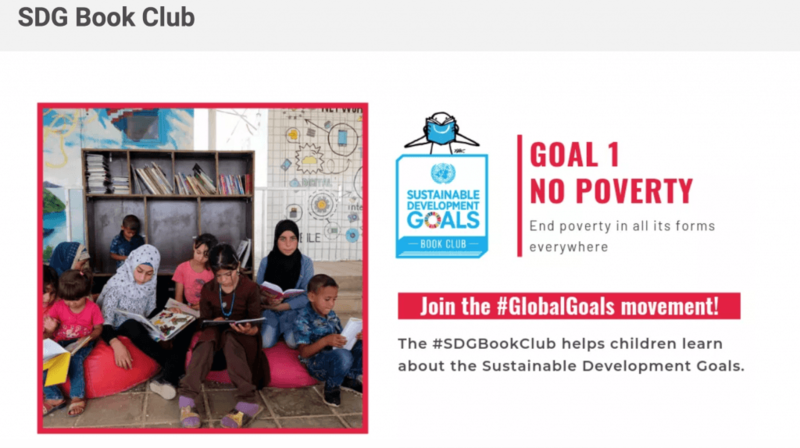 You may even want to host a book club meeting and share your photos via hashtags #SDGBookClub and #GlobalGoals. Please help our students spread the word! This entry was posted in allschool, Library by tintuc. Bookmark the permalink.